LED Eco Lights has expanded its Goodlight range of LED replacements for commercial lighting, with the introduction of fluoro-style LED tubes with T8 caps. Available in 2, 3, 4, 5, 6 and 8-foot lengths, the new LED tubes easily retrofit into existing fittings and operate independently of external control gear. With translucent lens covers, they look just like fluorescent tubes and, once installed, deliver a superb, even light spread with no shadowing. Their single-ended connection is considered best for safety and helps to lower installation time by half. The T8 LED tubes have rotatable pins that can adjust up to 90°, facilitating retrofits into any installation. 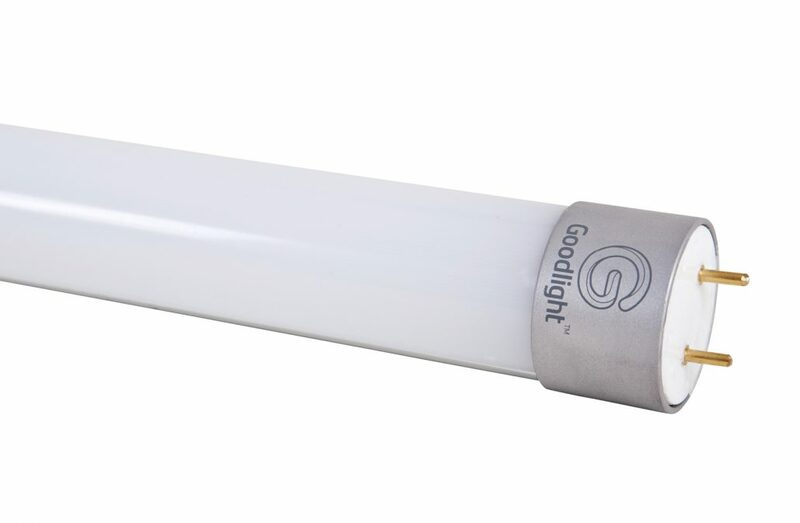 Goodlight LED technology offers a flicker-free alternative to standard tubes. Specified output of 105Lm/W leads to direct energy savings up to 75%. Lighting output ranges from 10W with the 2-foot T8 tube, up to 35W for the 8-foot model. Their operational rating of 50,000 hours equates to a lifetime of approximately 20 years at 7 hours a day, 11 years at 12 hours a day, and 5 years or more at 24 hours a day. 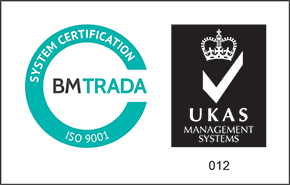 This is backed by a five year guarantee against failure, borne out by the many live Goodlight installations that have already exceeded five years. Fully dimmable, these LED lamps are internally regulated, with no reliance on traditional control gear. This means they are virtually maintenance free, with no ballasts or starters needed. Maintenance costs are up to 95% lower compared with traditional fluorescent tubes. The T8 range is available in daylight (5,500K), natural (4,000K) or warm (3,000K) colour temperatures, so users can retain their preferred white light intensity with a direct light replacement, or provide a refreshing change to the working environment. The LED tubes are equally suited to task lighting, offices and commercial premises, display or retail applications, cold storage and refrigeration, amenity lighting and industrial spaces. Even wider flexibility is enabled with the optional emergency function, custom-configured to provide DC operation of the LED tube lamp for at least three hours. The emergency option includes a compact, slim-line battery / driver module, making it perfect for retrofitting into existing fixtures. Market-leading LED technology lies behind these new tube lights. They utilise Epistar ‘super’ chips – amongst the brightest currently on the market – along with premium powerful drivers offering both load and short circuit protection to safeguard the lamps from power spikes or unstable circuitry. These new T8 fluorescent-style LED tubes are available now, and qualify for pay-as-you-save purchase through programmes like the BrightPlan Funding Scheme. Goodlight’s T8 LED tube lamps have been rigorously tested and approved by Transport for London, read the story here.